Greetings backers! In today's update, we've got some great new character, and area art for you to check out. Our artists have been hard at work creating beautiful new areas and lots of new armor for the game. Our next update will be the next chapter in the class series, all about chanters and priests, by Josh Sawyer. Recently our character artists have been hard at work crafting as many armor types as possible. All of our armor types have a variety of quality levels: normal, fine, and exquisite. JD Cerince recently finished up the plate armor designs for the game, which you can see here. James Chea worked on the scale armor for the game. Below you can see a few varieties for female player characters. 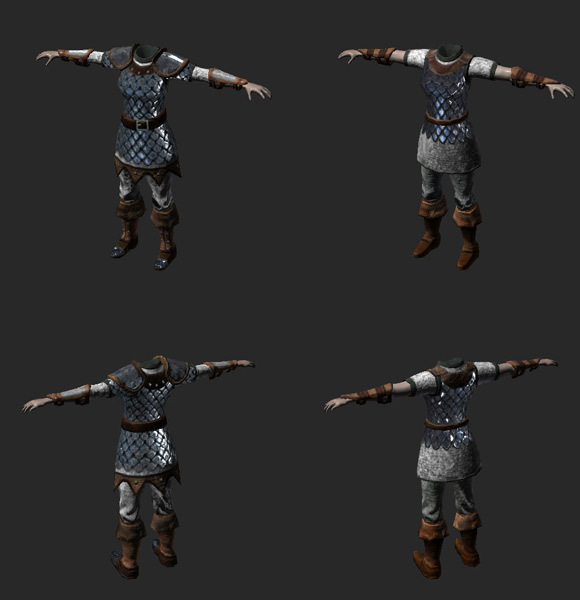 Cloth pieces for our armor sets can be tinted as in Baldur's Gate and Icewind Dale. 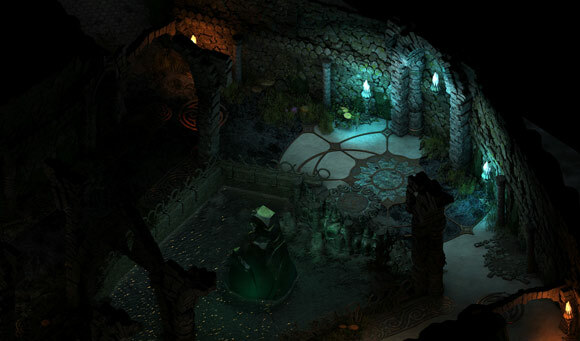 It's not all dungeons and darkness in Pillars of Eternity. 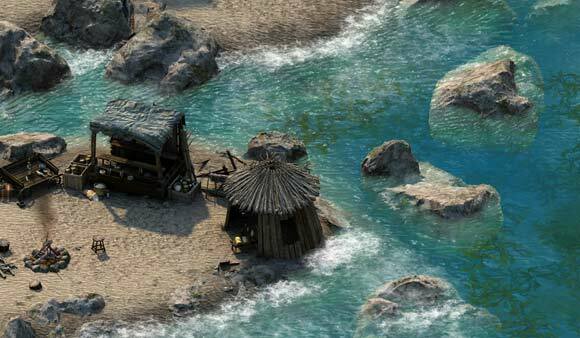 Sean Dunny finished up the beautiful beachy area of Anslog's Compass. Wave effects and details are courtesy of John Lewis. Named for a rocky stretch of land which theoretically resembles a sundial, this lagoon provides decent fishing for both brave Dyrwoodans and a local contingent of xaurips. More than one ship has met its end upon the nearby reef, and debris occasionally washes ashore from the wreckage. Here you can see the Hall of Warriors done by April Giron. This large wooden structure is used as a meeting place for visiting warriors within Twin Elms. It is here that the Glanfathan hunters gather and tell stories of past deeds, discuss upcoming events and hunts, and conduct friendly contests of physical prowess (arm wrestling, tests of endurance, etc.). Sometimes, a visiting anamfath will take residence in the hall when visiting the city. Here we have a section of a much larger dungeon by Sean Dunny. This is from Clîaban Rilag, an Engwithan ruin. That's it for this week. We hope you enjoyed this quick art update! Come back next week for a thorough update on chanters and priests by Josh Sawyer. The art looks lovely, I just wish there were more of it. What's the general status of the game right now? Is everything at alpha yet? I remember people asking for full plate armor, and you guys delivered! And WOW, my jaw dropped when i saw the beach! I hope the animation on water will look as great as they do on the still image. 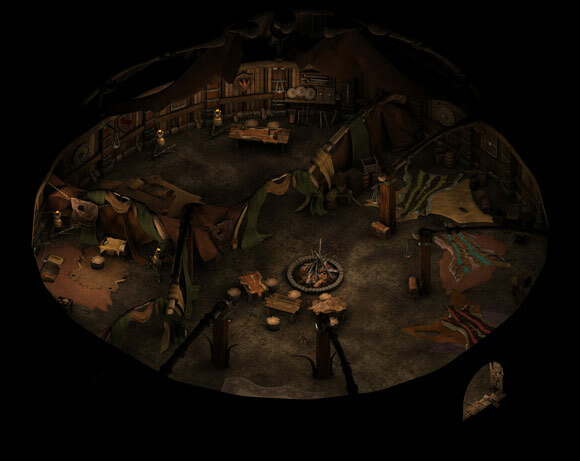 I think it would be really cool if you could go in that hut, or behind the counter in at the merchant stand, i think it would really make the world more immersing. In the middle pic, the stones around the camp fire might look a little too clean considering it's near ashes. Also i'm hoping in the next update if you could give a few examples of how Talents would look like? Are they going to be mostly passive stat increase or something? It is so gorgeous and such an outstanding quality that I got a lil emotional! Keep working hard, it shows and we appreciate it a lot. Edited by Mor, 29 April 2014 - 04:42 PM. where Anslog's Compass? and who is xaurips and anamfath? When will it be ready to show as a video? I really want to see that coastline in action. 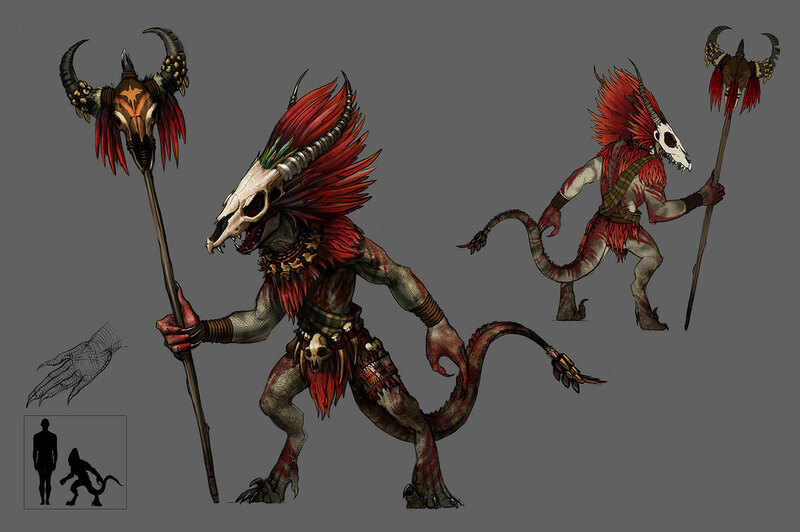 Xaurips are probably the little kobold-lizard things they covered in the animation update (because they had a staff in the animation). Edited by anameforobsidian, 29 April 2014 - 04:45 PM. looks good. wish there was more. I'm glad you went for the leggings afterall. Edited by Hormalakh, 29 April 2014 - 04:46 PM. I'm going to second that that water looks absolutely splendtastic, and I can't wait to see it move. I bet it likes to move it move it. The sand looks really good, too. I've just been noticing stuff like that, as, in this style of art for a game, you tend to see a lot of detailed on all the obvious things, but a lot of times textures across an entire floor get a bit neglected. However, it really looks like a damp, sandy beach that's been tromped upon. Good stuff! GREAT stuff! Better than Snapple's stuff, stuff! I do have a question regarding the armors. What kind of variance will we see in the actual different armors (as individual equippable items) in the game? I ask because, on the plate screenshot above, you easily get the feel it's going from normal, to fine, to exquisite (on full plate). But, how many different sets of, say, normal plate armor will there be? Because, on the scale armor screenshot, the one on the left is clearly a more substantial armor (offering more coverage/protection) than the one on the right. Are we going to see plate go from just a breastplate (with normal, fine, and exquisite variants), to, say, 1/3 plate (I dunno if that's a thing, but... I'm just talkin' body coverage here/number of plate components beyond just a breastplate, since I'm a nooblet and don't know specifically what the progression would be), with its own three quality variants? Then maybe half plate, then 3/4 plate? Then full plate? Or maybe even more individual variants in between those (Specific suits of armor by culture/faction, etc.)? Just curious, because a lot of past games have only had the very, very few, then differentiated with enchantments and +X ratings and such. Next week? It's been your trend for quite a while to release an update every other week. Do we actually get the treat of a new update next week? I won't complain . Just wow. Great stuff here. Love the look of that full suit of plate mail armor. The coastline looks like a cool place to settle down with a rod and go fishing. Thanks everyone for sharing! Really like the progression on that plate armor. Oops... I messed up. We are going to do one in two weeks - not next week. It happens. No worries. Good to know, . You aborted that launch sequence before that missile fired, haha.